Capturing the unique play of color and light in wearable glass art. 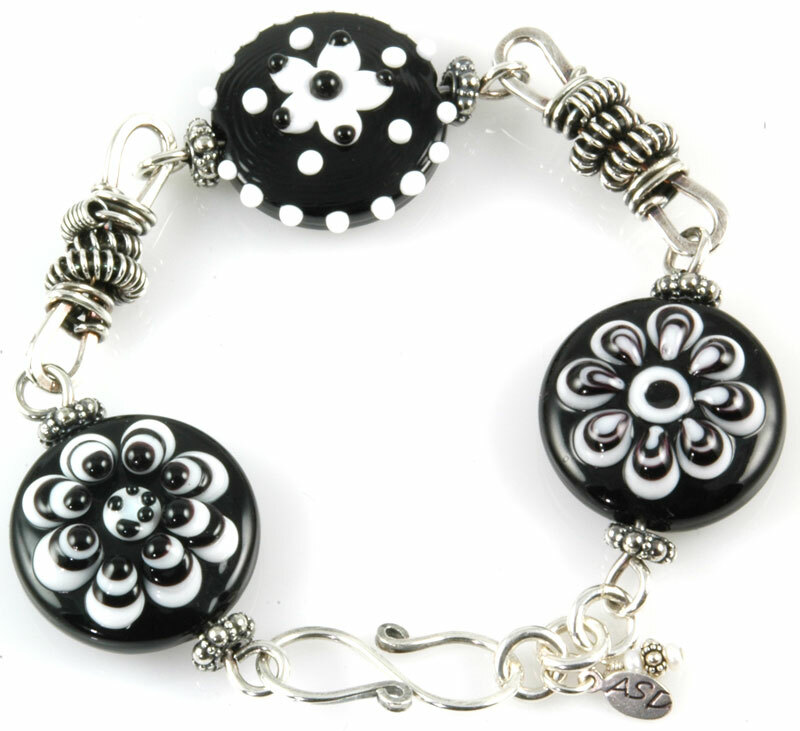 Welcome to Amy Sims Designs — Artisan Lampwork Bead and Jewelry Studio. Well, as far as addictions go, glass is not a bad one to have! I also tend to obsess over pens and art supplies. And gemstones. 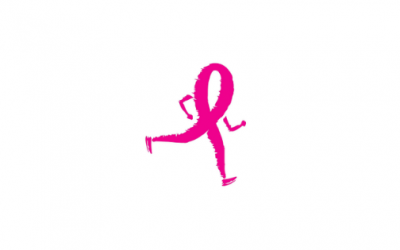 And logos. Basically anything colorful! 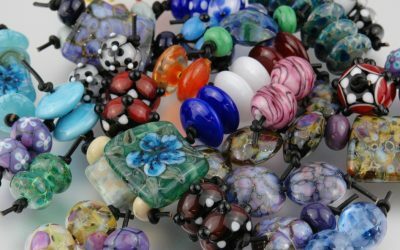 I’ve been lampworking since 2005, and I started out specializing in large hole beads that are compatible with all of the popular European bracelets like Pandora, Troll, Biagi and Chamilia. In addition to creating the beads, I do the metalwork that gives them a metal “core” and bead caps. This is all cold work, meaning I do not need a torch to solder anything. I find this type of creating as satisfying as beadmaking. I also enjoy chainmaille, enameling, wirework, and coloring on metal. (source: https://en.wikipedia.org/wiki/Lampworking) Lampworking is a type of glasswork where a torch or lamp is primarily used to melt the glass. Once in a molten state, the glass is formed by blowing and shaping with tools and hand movements.It is also known as flameworking or torchworking, as the modern practice no longer uses oil-fueled lamps. Although lack of a precise definition for lampworking makes it difficult to determine when this technique was first developed, the earliest verifiable lampworked glass is probably a collection of beads thought to date to the fifth century BC. Lampworking became widely practiced in Murano, Italy in the 14th century. In the mid 19th-century lampwork technique was extended to the production of paperweights, primarily in France, where it became a popular art form, still collected today. Lampworking differs from glassblowing in that glassblowing uses a furnace as the primary heat source, although torches are also used. Early lampworking was done in the flame of an oil lamp, with the artist blowing air into the flame through a pipe. Most artists today use torches that burn either propane or natural gas, or in some countries butane, for the fuel gas, mixed with either air or pure oxygen as the oxidizer. You can shop in your pj's, it's online! 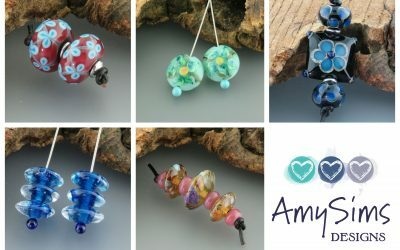 https://www.facebook.com/groups/AOMLampworkGlass Ends tonight at 9pm. 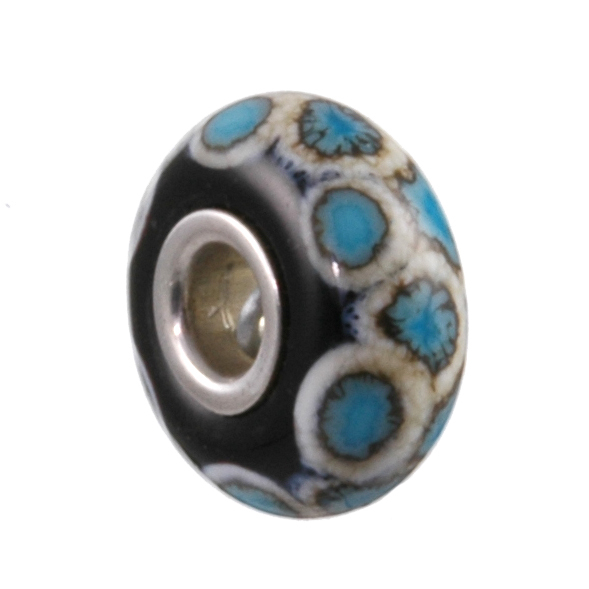 Bead Trunk Show Coming Soon! Do you want to be one of the first to know about my new beads, jewelry, and online shows? Well, GET YOURSELF ONTO THE LIST! Large-hole charm beads that fit all European style chains and many of my INTERCHANGEABLES. These beads may have a metal core. Focal beads, pairs, and sets of beads for the jewelry designer. Made on 3/32 mandrels (2mm holes). Earrings, bracelets, pendants and more, hand-crafted by me using my lampwork beads, fine metals, semi-precious stones, and fine greek leather. Beautiful and perfect for my projects! Thank you! Very pretty focal – love it. I love the fact that I can change up my look with ease; so versatile. Shipped on time, perfect transaction. Got a question? Want something special? Just want to chat? Drop me a line and I'll get back to you soon!